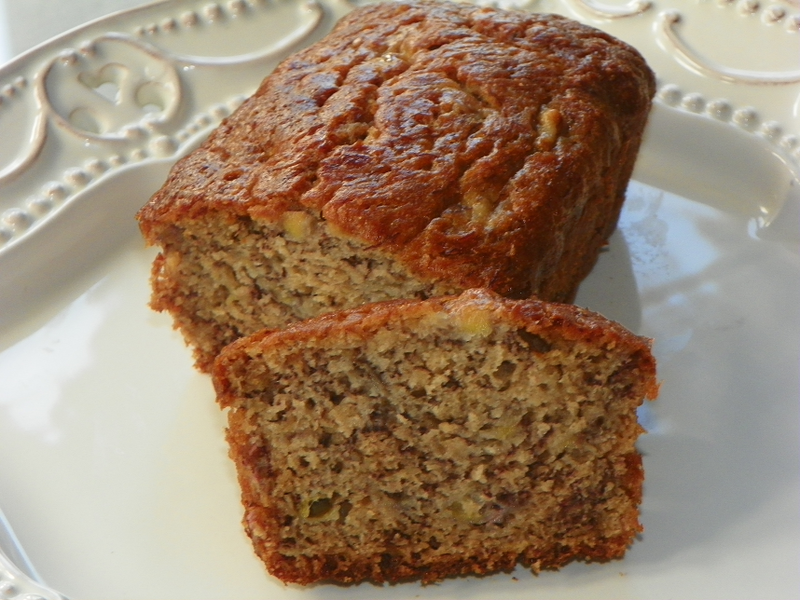 If you love banana bread as much as I do, but worry about if it's good for you, worry no more! It's full of nutrition when it's made right, and I've got the perfect recipe for you that you're entire family will love! This recipe is made with HALF the sugar, with whole wheat flour, and you can't even taste the difference! If you feel the recipe is too heavy, it may need more moisture to lighten it up a bit. In this case, use 1 extra banana, or 1/4 cup canola oil, or 1/2 cup unsweetened applesauce. Try this healthier take on a family favorite (this recipe suggests making muffins out of it) and let us know what you think! Sift flours, soda and salt in medium bowl, set aside. Whisk eggs and vanilla in a small bowl, set aside. Prepare a muffin pan OR bread pan while the oven is preheating to 350 degrees. You can spray the pan with an oil spray, or just use paper muffin cups. In another medium bowl, mash the bananas well, then set them aside. Cream the butter and sugar together until light and fluffy. Combine the egg mix with the sugar and butter mixture, and stir together. Add the bananas, stir. Finally, add the flour mixture and stir it all together. Place the mixture evenly in a 4-5 mini bread pans OR a full-size pan OR 12-count regular muffin pan. Bake at 350 degrees for about 25-30 minutes, or until they are done. Yummy! This recipe makes such a great make-ahead dish, and freezes easily. Just remove from freezer when you're ready to eat. You can either microwave to make them warm again, or just let them thaw to room temp. Either way, I guarantee this will be a new family favorite! What's your favorite quick bread to make for your family?